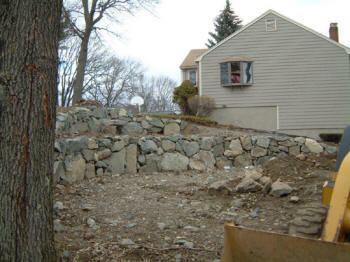 K&H has decades of experience constructing retaining walls for our customers and find no area too difficult to work with. 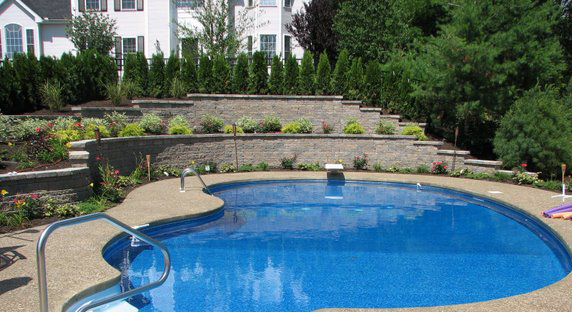 While we realize that retaining walls are a functional necessity, we understand that done right they can add to the beauty of your pool and transform your surroundings into the exquisite space you always dreamed of having. Our dry stacked or masonry stone walls provide a natural look. With rocks in an array of shapes, sizes and color, our stone walls add a natural appeal to your new space. K&H will work with you to coordinate a subtle matching appearance between your rock retaining wall and the type of pool deck you choose to maintain a natural flow. 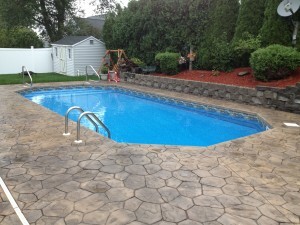 Available in a variety of styles and colors they can add beauty to any sloping landscape. 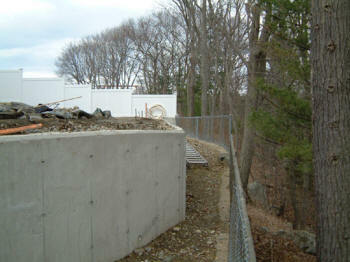 K&H constructs concrete retaining walls for substantial strength. Constructed along the same lines and degree of strength as a home foundation, the concrete retaining wall is the preferred option for higher grades and slopes.